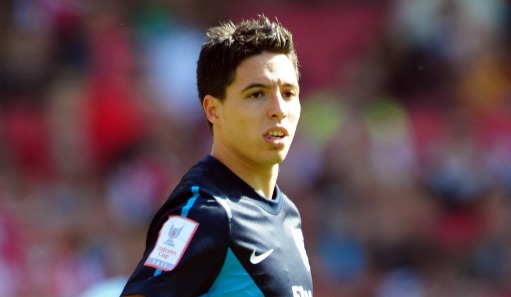 Reports in France suggest Samir Nasri has completed discussions with Manchester City over a move to the north west. French radio station RMC report the attacker, who is currently preparing for his country's game with Chile on Wednesday night, has agreed personal terms with the FA Cup holders. They say the player will receive an annual salary of £6m and that City will make a formal bid to Arsenal of around £22m shortly. Nasri, who is training with the French team in the south of the country, has less than a year too run on his Arsenal deal. Newspaper L'Equipe said earlier this week that Arsenal manager Arsene Wenger was softening to the idea of selling the player he has desperately tried to keep in north London.